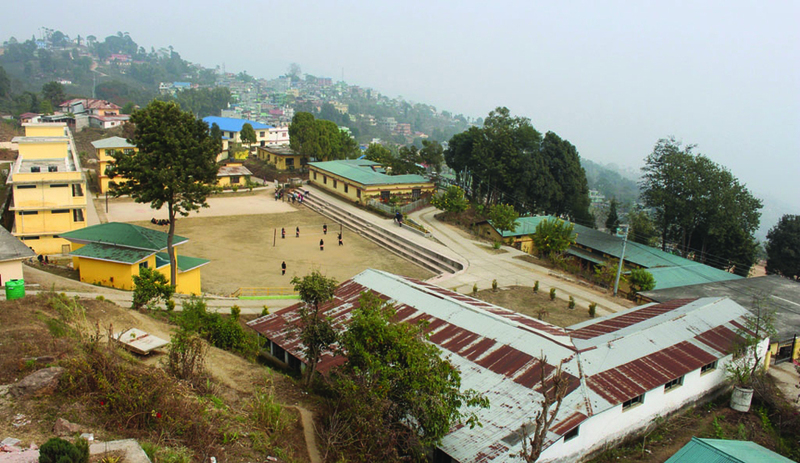 Bhim Chapagain/Republica Mahendra Ratna Multiple Campus in Ilam. The campus offers five masters' level programs affiliated to Tribhuvan University but due the introduction of the semester system, this year it did not even receive a single student. ILAM, July 31: Introduction of the semester system in masters' level programs by Tribhuvan University has affected student enrollment in campuses affiliated to it in the hilly districts of the eastern region. In some campuses, the number of enrollment in the masters programs has gone down to zero. Due to this, the colleges are in a dilemma over whether to continue classes or not. The decline in the number of enrollments is directly related to some mandatory conditions that a student has to fulfill in the semester system. As part of the system, a student has to attend at least 80 percent of the classes. They have to complete all the periodic assignments and projects and submit it to their course moderator. While the concerned college evaluates the students for 40 percent of the marks based on their projects, assignments and attendance and the office of the dean evaluates the student for the remaining 60 percent of marks based on its written examinations. However, such provisions did not synchronize with the requirements of the prospective masters' programs candidates in the region. Generally, prospective students of master's level program in the region are either jobholder or are into some business. Attending regular classes, in most of their cases, is not possible. Such students enrolled for masters' program earlier as it did not force them to choose between their occupation and a masters' degree. There are dozens of colleges affiliated to TU in Ilam, Panchthar, Dhankuta, Tehrathum, Bhojpur and Sankhuawsabha districts that offer masters' level courses. It is mandatory that at least 10 students be enrolled in a course for the college to offer it. However, as this minimum numbers have not reached in many of the colleges, fate of the students who want to acquire a masters' degree has become uncertain. Campuses in these districts, except Dhankuta and Panchthar, did not receive any applications. In the two exceptional districts, campuses cancelled the enrollment as the minimum numbers of students requirement for offering the course did not meet. TU officials claimed that number of students enrolling for the masters' level was not much even in the past. Compared to the bachelors level, it was low. Most of the colleges in the area have been offering masters' level course only since the last one decade. Mahendra Multiple College is a very popular destination for students in the region. However, this year, even this college has not attracted master's level student. The campus reported zero enrollments in its masters' level programs this year. "Semester system is new for students. We did not receive any applications for enrollment this year," said Campus Chief Ramprasad Guragain. "Now, we are in dilemma over what to do about our masters' level programs. The office of dean does not allow operating classes unless there are at least 10 students," he added. Guragain said that this year they had no hope of offering the courses but expressed hope that situations will change over the year and next year they might be able to offer the courses. Campus Chief of Chuandanda Multiple College of Tehrathum, Hikmat Bahadur Rayamajhi shares similar story. Last year, this college had received applications from eight students for its masters' program, but this year it did not receive even a single application. Rohit Kumar Shrestha, chief of Bhojpur Multiple College, said that the mandatory requirement of 80 percent attendance is one of the major factors behind the unpopularity of the semester system. For many students, such a requirement is not 'practical', he said. "This campus is located in a rural area. Last year, we received applications from eight students. However, this year, we did not receive any. Let's hope things will change in the next few years and we will be able to continue offering masters' level courses," he added. There are five lecturers in the campus for facilitating its masters' level programs. With no student this time, they have become 'jobless'. Chuandanda Multiple College had started degree level classes in 2013. "Since then, it is the first time we were not able to run classes. Even last year, we requested the office of the dean and run classes though there were only eight students. 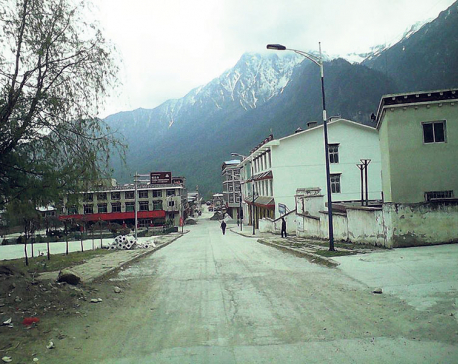 As the college is in remote zone, they had considered it," said Rajyamajhi. "But this time, the number of application is zero and as such we can't do anything," he added. Bhojpur Multiple College also has zero number of students in its masters' programs this year. Whether it be management or humanities courses, students have shown no interest in enrolling for them. Campus Chief Rohit Kumar Shrestha termed it as sad. "We did not get even a single student this year. There should have been excitement over the new system. Semester system is better as it makes students more competent. However, what to do when this is the situation? It's sad," he said. "We are also confused whether degree level classes will work here or not. We had introduced it a decade ago," he added. Shrestha noted that the mandatory requirement of 80 percent attendance is one of the major factors behind the unpopularity of the semester system. For many, that is not 'practical'. "Due to job or other engagements, students can't come to college regularly. They have their own engagements which they cannot give up for acquiring a masters' degree," he said. Campus Chief of Panchthar Multiple College Khem Khatiwada however put the blame largely on the entrance examination that a student has to appear and acquire pass grades. "The university took only one entrance exam for masters' level course. Most of the prospective students might have missed it for various reasons. 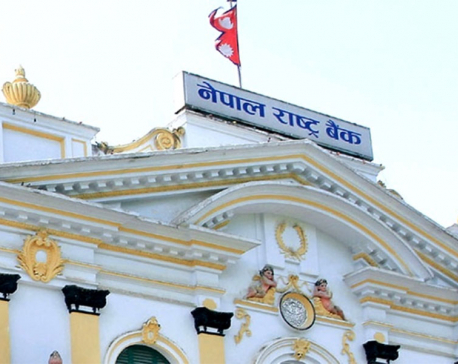 The university should make up for it and offer the opportunity second time," Khatiwada said. He also conceded that students might have found semester system full of hassles.